The way we talked all night, the way I gave you head? And when she says it's love, will you think of me instead? One of a kind, she have on yet? THINK OF ME es una canción de The Veronicas del año 2019. 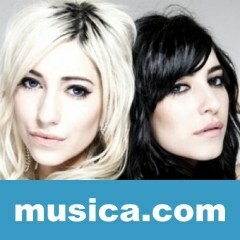 La letra ha sido escrita por Jess Origliasso, Lisa Origliasso; publicada por Sony/ATV Music Publishing LLC.